SAVE OVER £250 WITH FITTED SKS QUALITY MUDGUARDS AND KTM KICKSTAND INCLUDED IN THE PRICE! SAVE £160 ON THE 2019 ENDEAVOUR VERSION OF THE SAME eBIKE! LAST ONE IN 45CM LOW CROSSBAR. 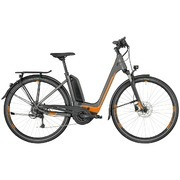 SAVE £550 ON THIS FANTASTIC PERFORMANCELINE POWERED eBIKE WITH FULLY INTEGRATED POWERTUBE BATTERY. ONE ONLY IN LOW CROSSBAR AT £2349! 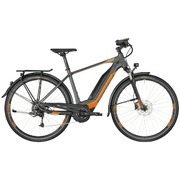 THE MOST POWERFUL BOSCH POWERED HYBRID eBIKE AT A BARGAIN PRICE! INCLUDING FULLY FITTED SKS MUDGUARDS. GRAB ONE WHILE YOU CAN! BARGAIN PURCHASE!! BUY AT THE PRE-INCREASE PRICE AND SAVE £200 WHILE WE STILL HAVE STOCK! PLEASE CALL US FOR REMAINING FRAME TYPES/SIZES. If you have any questions about the offers listed, or you would like to speak to someone about availability or arranging a trial with a bike; please be sure to call us on 01423 603 423. We are open 7 DAYS 9:30 to 17:30 - PLEASE CALL FIRST.